Introducing a special one time offer for our business customers. On clearance is our canvas triangle pennants. Size is 6.5â€ x 8â€. It comes with the jute cords as shown in photo. Item# is T148-71. If you can take the entire inventory at once, I can offer them to you @$0.50 per pack. 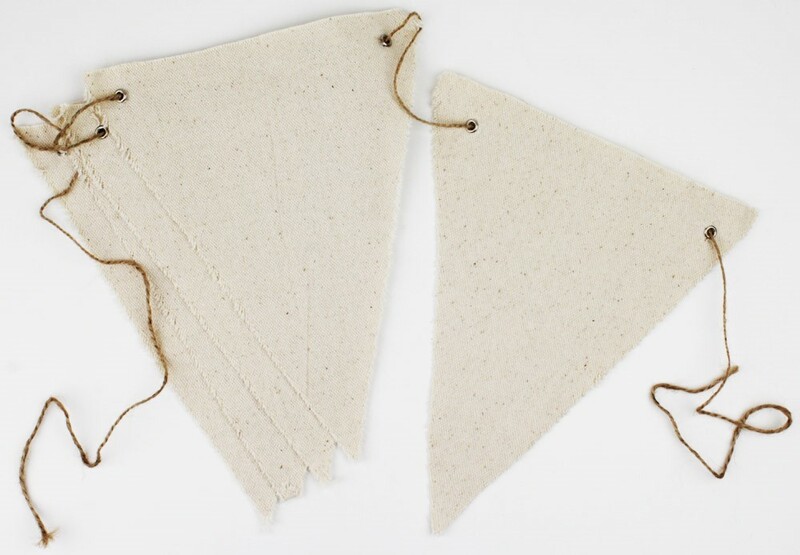 Each pack has 5 triangle canvas pennants strung together on a jute cord.